Cash flow holds immense importance for any kind of business, making it important for businesses to ensure things such as their customers paying on time. Recovery of debt can be a very time and energy consuming task and can still result in failure, regardless of the efforts put in. The solution to this can be proper streamlined procedures to identify bad debts beforehand. Setting an effective and comprehensive credit control and management policy is crucial for getting paid on time. The first thing to do is to identify the requirements of your Credit Management Policy. You need to take a clear look at your business in order to identify what the requirements are. The first thing you have to look at is your margin. A bigger margin allows for a more relaxed credit control policy, while businesses with a smaller gross profit margin might not be able to sustain a significant bad debt, thus making the magnitude of gross profit margin a factor that can’t be neglected in the making of your credit control strategy. You can consider the list of the following tips for an effective credit management strategy. It will enable you to identify existing deficiencies in order to get a clearer picture with which you can reevaluate your company credit control policy and procedures. 1. It is important that your company’s credit control policy is clear to the sales staff. 2. Usage of a credit application form to keep everything organized, making bookkeeping less of a logistical nightmare. 3. Make credit checks of new customers, things such as bank references. 4. Get a personal guarantee from customers that you think can lead to bad debt. 5. Analyze your customers, make criteria for credit recipients, and don’t be afraid to decline credit. 6. Look at your margin and analyze the feasibility of credit insurance. 7. Set a limit for the credit a new customer can receive. Minimizes the risk of having a bad debt that can lead to a loss. 8. In the case of regular customers, carry out credit checks regularly. 9. Document your Terms of Trade, this will help you out in the recovery process and will also discourage bad debts. 10. 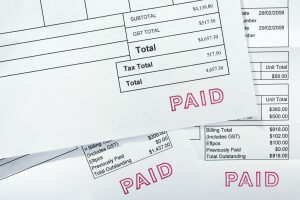 Include a clause highlighting fines a customer is subject to in case of late payment or providing a check that bounces. 11. Add a Retention of Title Clause in your Terms of Trade, utilize the services of a solicitor who knows your business to do this for you. 12. Add a clause in your Terms of Trade that gives you the right to charge interest on a late payment. 13. Include streamlined procedures for any kind of disputes that you might face regarding Trade. 14. Clearly mark your credit terms, ideally setting a 30 day due date after the date of the invoice. 15. Sign an agreement marking the terms of payment. 16. Keep a record of the due dates of the payments. Make sure that you issue the invoice as soon as possible, preferably no longer than 24 hours after the goods have been delivered or the services have been provided. Monthly statements from bookkeeping records allow you to know which invoices have been paid as well as identify and update the customers who haven’t paid their accounts. Set discriminating criteria, dividing the customers of your business into bad, average and good debtors. Each category may have a policy slightly different than the other. Contact the customers with significant debt value in the days preceding the due date; this will ensure that the invoice holder knows that he/she has to pay their dues. Pursue payments that have passed their due dates, try to pressure the debtor to pay within one week of the due date. Charge the customer a late payment fee or interest. If all else fails, refer to a solicitor or debt collection agency. Stop supply or try putting current deals on hold if the payments have not been made for a particular time beyond the due date. This particular time can be different for each type of customer. Consult and hire the services of a solicitor or debt collection agency. Chase the debtor through court. Set goals for your credit control policy and keep track of them to measure progress and success. Ensure that your sales staff is trained in handling situations requiring questions, persuasion and negotiation skills. 5 Top Picks For Small Business Cloud-Based Accounting Why Is Job Costing Critical To Trade Success?